As two Asian giants and rising power, the interactions between India and China have global significance. 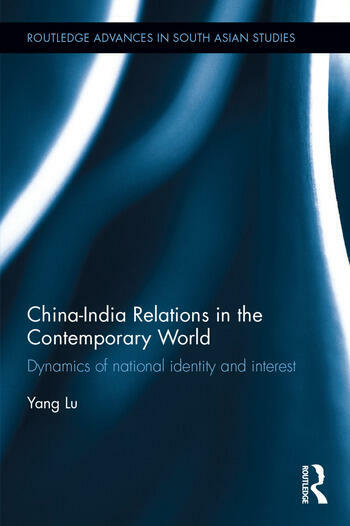 This book analyses the multifaceted and multi-layered character of Sino-Indian relations since the beginning of the 21st century in a period marked by cooperation and competition. Positioned in a social constructivist framework that emphasizes mutual perceptions and socialization, the book draws analytical leverage from two core concepts – national identity and national interest – to form the basis of the research inquiry. The author argues that the dynamics of national identity and national interest play an important role in determining their relations and shows how and why in the current international structure, including a context of accelerated globalization, their national identities as rising power and emerging power coupled with national interest of economic development have defined and directed their international positions and foreign policy-making. A unique approach to analysing Sino-Indian relations, this book is of interest to academics in the fields of Asian Politics and International Relations. Yang Lu is a Postdoctoral Fellow in the Department of International Relations at Tsinghua University, China. Her research mainly focuses on South Asia and China, working on India-China relations, regional cooperation and sub-national movements in South Asia.